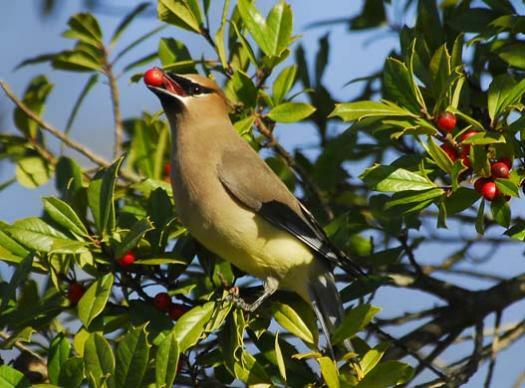 This Cedar Waxwing found a Holly tree this morning full of berries for breakfast. Waxwings and robbins were feasting with no fighting. There were berries enough for all. 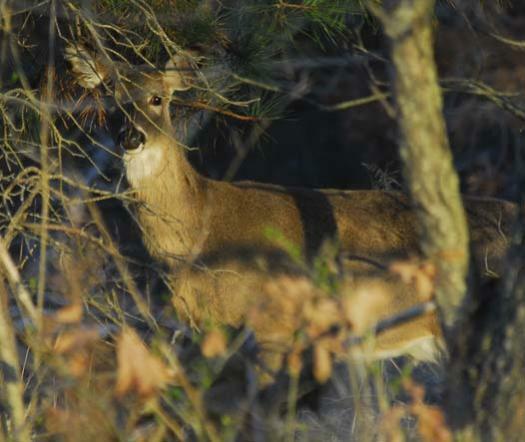 Earlier a deer peaked out of cover to see if I was a threat.